Michael McKernan sums up the main points of the Irish Government’s energy green paper, which lays the foundations for a new strategic policy for the sector. 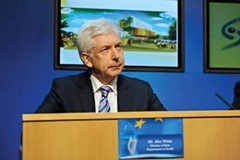 The public consultation has now closed on the Irish Government’s energy policy green paper, launched on 12 May by then Minister for Energy, Communications and Natural Resources Pat Rabbitte. 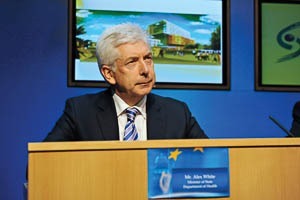 Although Minister Rabbitte has since moved on, the issues facing his successor, Alex White (pictured), and indeed the country as a whole remain as complex and challenging as ever. Minister White has welcomed the receipt of over 1,200 written submissions and promised further consultations in the autumn, once the department has had time to consider all the views and comments received. This will then lead to a white paper in mid-2015, which will in turn inform Ireland’s input into the European Union’s forthcoming 2030 framework for climate and energy policies and the United Nations COP21 conference on climate change (November-December 2015). 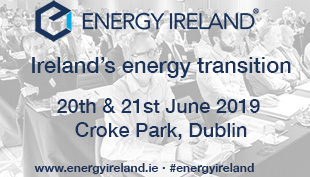 Traditionally, energy policy in Ireland has featured a trade-off or balancing of three key, often competing, policy objectives – security of supply, competitive prices and environmental sustainability. These three factors rarely come together easily. For example, cleaner energy tends to cost more, cheaper energy tends to be environmentally damaging, and convenient imported energy leaves Ireland dangerously reliant on others for its basic energy requirements. He went on to argue that the green paper needed to take a long-term look at the policy, regulatory and societal interventions required to deal with additional considerations including not least the capacity of the energy sector to create jobs and drive the economy forward as it recovers. Rabbitte also highlighted emerging issues such as the impact of shale gas, increased geo-political tensions impacting oil and gas supply, and increasing global concern around climate change. He also pointed to the unprecedented need to have meaningful public and community engagement around energy decisions, particularly infrastructure. The green paper reflects these additional concerns in discussing five priority themes (see box) which include empowering citizens, markets, regulation and prices, delivering infrastructure, sustainability, and driving economic opportunity. Under ‘empowering citizens’, the green paper points to ways that citizens can become more educated and knowledgeable about energy and then use that knowledge to reduce consumption and overall bills. They can have the capacity to make the most out of growing competition in the market place. Better still, consumers could secure and manage their own energy domestically through greater uptake of micro-generation and new smart-metering technology. The green paper asks about the steps that need to be taken. It argues that, ultimately, empowered energy consumers should be able to make their voices heard in relation to the development of energy policy itself. The role of the consumer is also a central consideration in how energy infrastructure is planned and delivered in the context of a growing economy and increased public concern about the environmental and health impacts of new infrastructure, particularly overhead power lines. The green paper canvasses views on how citizens can have their say on the infrastructure that affects them while recognising that new much needed infrastructure should not be held up unduly in the permitting process. The paper asks how changes to the planning and licensing processes for major infrastructure can provide for greater collaboration and engagement with community stakeholders. This is perhaps the most critical issue in the Irish energy sector at the present time. As well as the question of how infrastructure is actually delivered, the green paper also asks what kind of infrastructure needs to be delivered including oil, gas and electricity infrastructure. With the growth of competition and the increasing participation of private sector companies (often headquartered outside Ireland), the green paper discusses the future of all aspects of energy regulation in the Republic. Is the current regulator adequately resourced to deliver on behalf of consumers while at the same time creating the right environment of ‘certainty, stability and flexibility’ to ensure that investors are attracted to invest and confident about the risks to be managed in the Irish marketplace? The paper also points to the demands that the development of the single energy market in Europe and electricity and gas code changes will place on the role of the Commission for Energy Regulation. Security of supply is always at the centre of Ireland’s energy policy discourse and the green paper includes references to modelled scenarios showing that Ireland’s total primary energy requirement (TPER) is set to increase in the coming years following a sharp decline since the economic crash in 2007. However, by 2020, Ireland’s TPER will still be well short of the 2007 level and by this time the contribution from renewable and indigenous sources of energy is expected to increase significantly. In addition, there is considerable optimism around more indigenous energy coming from exploration and production in Ireland’s territorial waters. 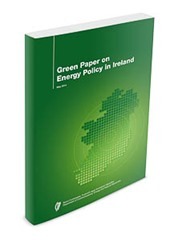 The green paper asks directly how Ireland can reduce its dependency on imported oil and gas and how it can develop storage facilities to mitigate any significant interruptions to supply. Sustainability is noted as another major pillar of energy policy, both the need to use less energy by driving up energy efficiency and also to ensure that the overall contribution from renewables is maximised. The green paper has noted the substantial progress already made on energy efficiency and conservation resulting in Ireland’s comparably favourable energy intensity rating i.e. the amount of energy consumed per unit of GDP. However, it is also noted that there are major challenges remaining in transport and achieving greater cost-effectiveness in investing in renewables and sustainable technologies. The challenge of greatest interest to Labour ministers like Rabbitte and White is how the energy sector can lead the way in job creation. The green paper wants to re-envision the energy sector from its traditional role as a facilitator of job creation elsewhere, to a world-beating sector which, through technology and innovation, can drive the economy and grow jobs itself. There is considerable labour content in Ireland’s rapidly expanding renewable sector and it is considered that Ireland is a world leader in smart grid technology. The green paper asks how, through training and support for R&D and enterprise, the state can help the sector really take off. Overall, the energy policy green paper is undoubtedly asking many of the right questions. It remains to be seen what the Government makes of the 1,200 consultation responses it has received and what sort of revised policy paper emerges after the autumn.